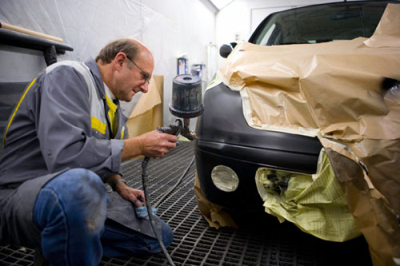 We are a fully staffed body shop with mechanics, body men, painters, and estimators. 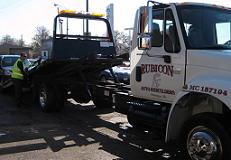 We have our own towing service on premises. We are Chicago&apos;s most trusted source of quality automobile repair and maintenance. With our help, you can hit the road with confidence in a car that runs smoothly and shines, both inside and out. If you have been in an accident, need paint work, or just need some routine maintenance, the experts at Art&apos;s Auto Rebuilders can help you! We can fix anything! I offer the disclaimer that my experiences may not be representative of others interactions with Art&apos;s Auto Rebuilders. I only offer my opinion and my viewpoint. Draw your own conclusions. I did not have a good auto mechanic experience with Art&apos;s Auto Rebuilders. The events that I describe involve Larry, the owner of Art&apos;s Auto Rebuilders, actually telling me that even though my car broke down in Naperville perhaps I could have used teleportation to send my car back to his shop. He suggested this about 2 minutes into our conversation, you read correctly - teleportation. And then Larry paid me $25 for an "Education on auto repairs". It&apos;s a great story. But I&apos;m getting ahead of myself so let&apos;s start at the beginning. My 2009 Dodge Caliber was making a noise that sounded like dragging. I took it to Art&apos;s Auto Rebuilders. The team informed me that my alternator, idler pulley, tensioner, power steering pump were all bad. I decided to allow Art&apos;s Auto Rebuilders to complete the repairs. It was about $900. Let&apos;s fast forward three weeks. I am driving to Naperville, which is where I work. I am on I88 when suddenly my dashboard battery lights, temperature gauge light, check engine light and ABS all come on in the span of 1 minute. I notice that my temperature gauge is climbing all the way to H. I am really worried that my car will overheat. As I am about to get off the expressway my power steering goes out. I was able to steer to get on the exit ramp. I park in a Hilton Hotel parking lot and wait for the car to cool down. I go to Yelp and find Clark&apos;s Car Care. I am only 8 minutes away so slowly drive there. I talked to Jason and he guesses that it&apos;s the Serpentine belt system. 30 minutes later he says that my Serpentine Belt, my idler pulley and tensioner all need to be replaced. There was coolant all over the engine because it overheated. When I informed Jason that I had the idler and tensioner replaced three weeks prior he stared at me in disbelief. He asked me if I was sure? I told him that I spent $900 on a host of repairs, those among them. He said he couldn&apos;t speak to what another shop had done but he did have to fix those parts. I gave my consent to start working on the car. He flushed the coolant system because of air bubbles and then he replaced the idler, tensioner and drive belt. I got the repairs, paid and went to work. I called Art&apos;s Auto Rebuilders and speak with Larry. When I tell him that my power steering goes out he says, "Oh my God." I continue on to say that I had to get the car fixed at a Naperville shop and would he be willing to compensate me for the bill. I told him that I did not have the parts. His tone completely changed. He said he didn&apos;t care if I went out of the solar system, Milky Way or universe he would still need the parts to send to the manufacturer. I asked him if I was in Naperville how I would have gotten the car back to him? He suggested that I should have used teleportation. I tell him that if he wants further proof of my story that perhaps he could call the Naperville shop. At this point he says the next sentence very nasally and in a whining tone, "So you think we should have a little talky-talk or a pow wow?" He tells me how I am childish and I remind him that not a minute ago he referred to talking to a fellow automotive expert as a "talky-talk". When we ended our conversation Larry had finally agreed to send me something. About a week and half later I receive a package. The check was for $25 and a sarcastic letter was attached. He wrote on the check, "Education on auto repairs". In my opinion Larry didn&apos;t do a great job of explaining his side of things in the letter. Instead he offered such jewels of wisdom as, "No car, no warranty. Before you get upset over this comment I would suggest you test this same principle the next time you buy clothes. No matter where you purchase them march over to Niemen Marcus and demand a refund. Or conversely, purchase a hamburger at McDonalds but go to Burger King and demand a refund because they are closer"
Those are the worst analogies I have ever read. I laughed. Listen, I don&apos;t know what happened but after you pay $900 you shouldn&apos;t have to replace the same parts in under a month. Given the seriousness, I expected professionalism but I received - sarcasm, nasally voices and teleportation references. I only write this as an analysis of my experiences. I personally will never do business again with Art&apos;s Auto Rebuilders, but you may feel differently. The choice is truly up to you.